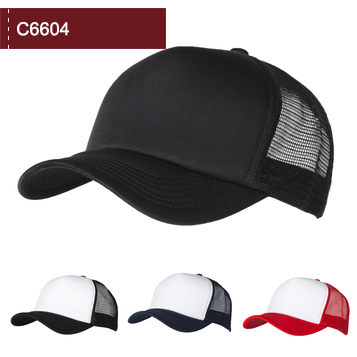 The C6601 is a modern twist on the Classic Meshback Trucker, with a 100% Cotton white front panel and contrasting peak, along with the Polyester Mesh crown and plastic snap adjuster. A perfect option for print or embroidery with a large branding area. Plastic Snap Adjuster to the rear. Front 110mm wide x 55mm high for print. 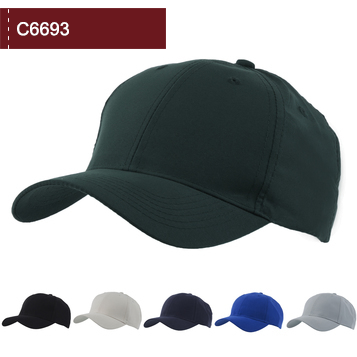 The C6602 is a military inspired cap, made from ultra soft 100% cotton. This low fitting cap comes complete with a padded sweatband and Velcro adjuster to the rear of the cap. Velcro adjuster to the rear. Front 120mm wide x 40mm high for embroidery. Side 100mm wide x 40mm high. 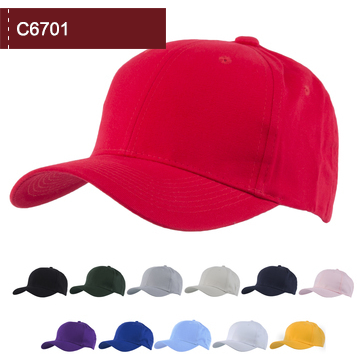 The C6603 is a FULLY FITTED 6 Panel cap, with an elasticated sweatband. 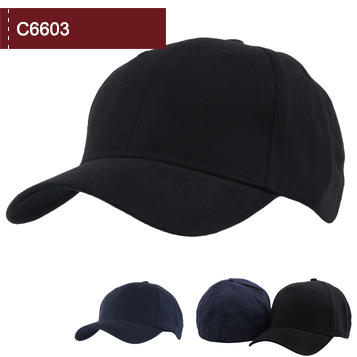 Made from cotton twill, the elasticated sweat strap allows the cap to expand to the wearer’s head size without the need for a traditional Velcro or buckle adjuster. The TRUE Mesh Back Trucker cap with its classic Foam backed front panels and peak. 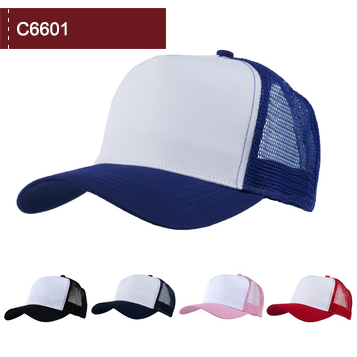 100% Polyester with polyester mesh crown and plastic snap adjuster to the rear. 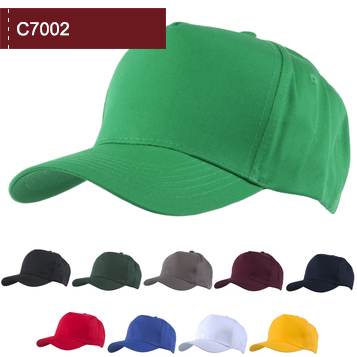 This cap is a perfect option for print or embroidery. 100% Polyester foam back front panel and peak. 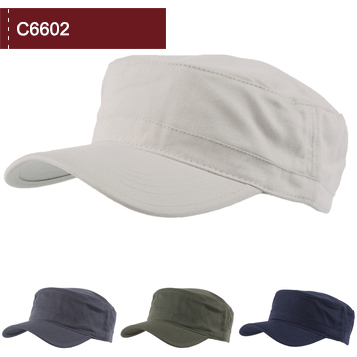 The C6693 is a lightweight, soft touch and showerproof cap which is an ideal solution to those perusing outdoor activities. Made from 100% Microfibre with a padded sweatband and Velcro adjuster and looks incredible branded with your logo. 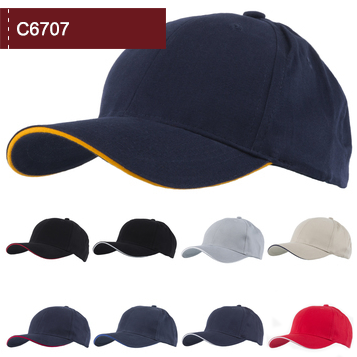 The C6701 is our best selling cap made from 100% cotton with a padded cotton sweatband and antique brass buckle adjuster. The C6701 range is a perfect addition for all manner of promotional campaigns. Great value and available in an array of eye-catching colours. The C6707 adds a bit of colour into the range with its contrasting sandwich trim. 100% Brushed cotton 6 panel structured design with a classic antique brass buckle adjuster to the rear. The C7002 is a simple no frills 100% Cotton twill 5 panel cap with a Velcro adjuster which is available in a range of colourways. If all you need is a simple promotional cap, perfect for printed designs at an affordable price the C7002 is the cap for you. The S0001 is our most popular style and has been for more than a decade. Whether a good value give away or a retail product, the S0001 is many things to many people. This beanie is made from acrylic yarn and it has a turn up. 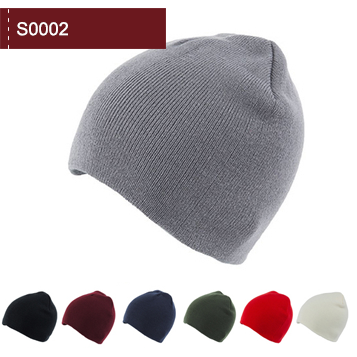 The S0002 is a beanie made from acrylic yarn and has no turn up. This ever popular style is used for good value promotions through to high quality retail. 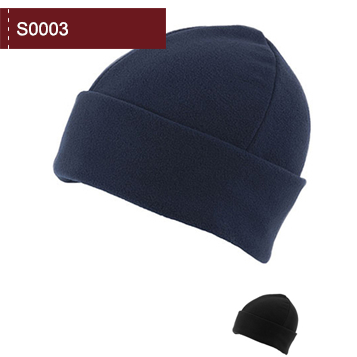 The S0003 is a beanie made from polar fleece and has a turn up. 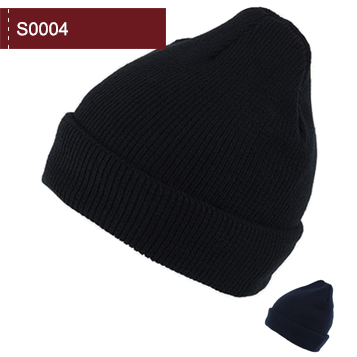 This beanie tends to be used as part of uniforms although it works for many purposes. 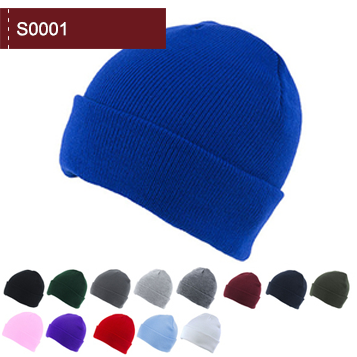 The S0004 is a beanie made from acrylic yarn, it has a turn up, and it is lined with a thermal fleece. The inner thermal lining adds an extra degree of warmth and is ideal for those whom need protection against very cold conditions. 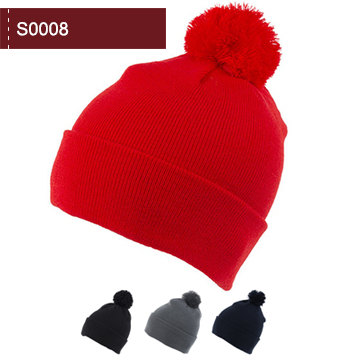 The S0008 is a beanie made from acrylic, it has a turn up, and a bobble on the top. This beanie is a classic style with the added feature of a bobble. The S0008 works as a fashionable promotion, and as a retailed product. 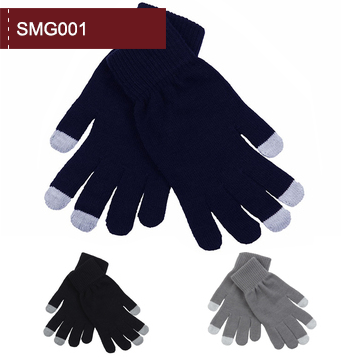 The SMG001 are a versatile and practical range of gloves. Made from Acrylic and spandex with active touch finger tips. They are ideal when the need for using a touch screen device would normally mean taking your gloves off. Be it running or working in a cold store these gloves are an ideal winter addition. Available in Black, Grey and Navy. Branding area 50mm x 50mm.